The Pine Ridge Trail is perhaps the most iconic hiking route in the Ventana Wilderness. The Wild and Scenic Big Sur River, towering redwoods, and hot springs near Sykes Camp attract visitors from all over the world. Add in the ease of trailhead access and it is no wonder that it’s also the most visited trail on the Monterey Ranger District of Los Padres National Forest. That is ... at least it was until the summer of 2016. Since then, the lower (western) section of the Pine Ridge Trail has been closed due to the Soberanes Wildland Fire and winter storms of 2017. 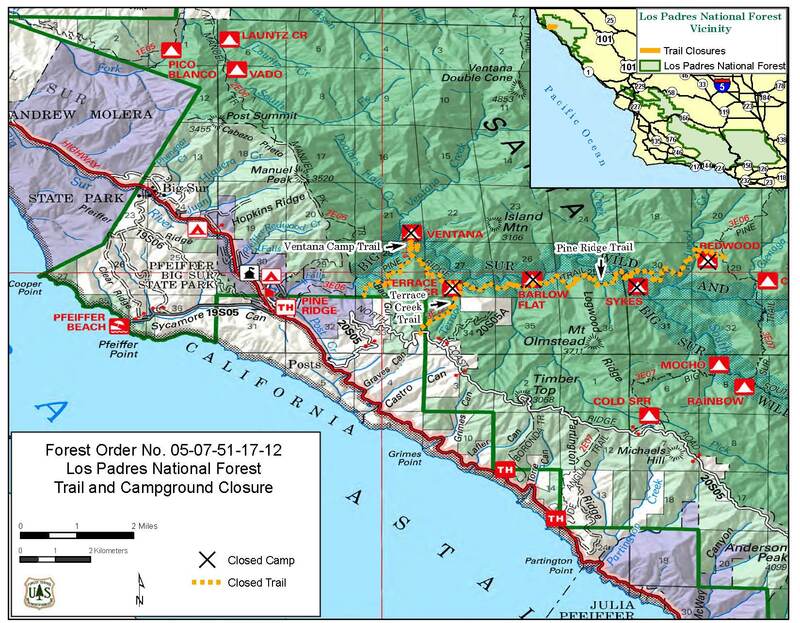 This map shows the areas within the Los Padres National Forest that remain closed, and you can read the November 2017 US Forest Service memo describing the closure here. So why, after nearly two years, are Sykes Camp and the lower Pine Ridge Trail still closed? Oftentimes after major wildfires on public lands, areas remain closed through the following winter to allow snags (dead trees that are still standing) or “widow makers” (detached limbs or broken tops suspended in standing trees) to fall or settle during storm events. Closure also allows time for necessary trail repairs to be completed. However, early 2017 brought historic levels of rainfall to the region and unusually severe winter storms caused massive trail damage throughout the backcountry. Heavy rains supersaturated soils which destabilized slopes and caused huge landslides. 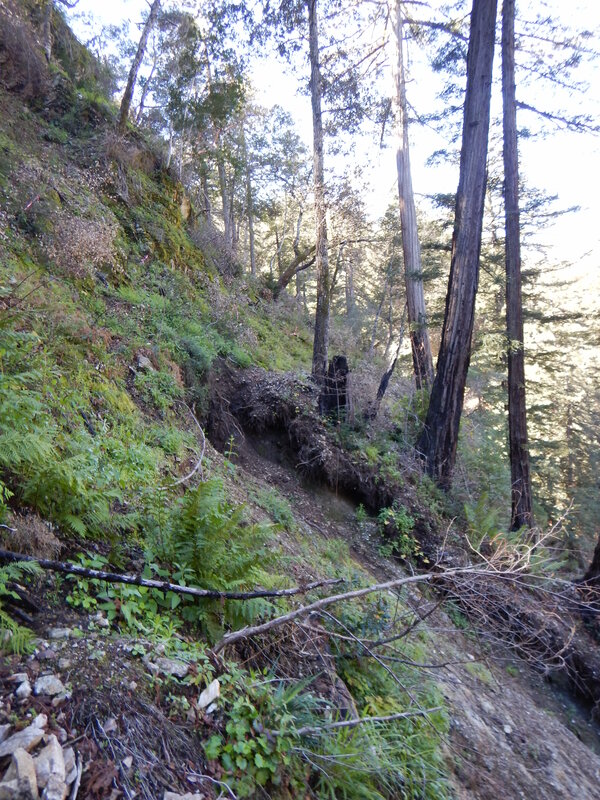 Erosion was accelerated in many areas, especially the steep-walled Big Sur River canyon, where fire had removed slope-stabilizing vegetation. Drought-weakened and fire-damaged trees snapped like toothpicks and were swept down the river canyon. Steep topography channeled torrential runoff across several stretches of the Pine Ridge Trail, leaving massive tangles of rocks and logs, and eroding away entire sections of trail in catastrophic washouts. 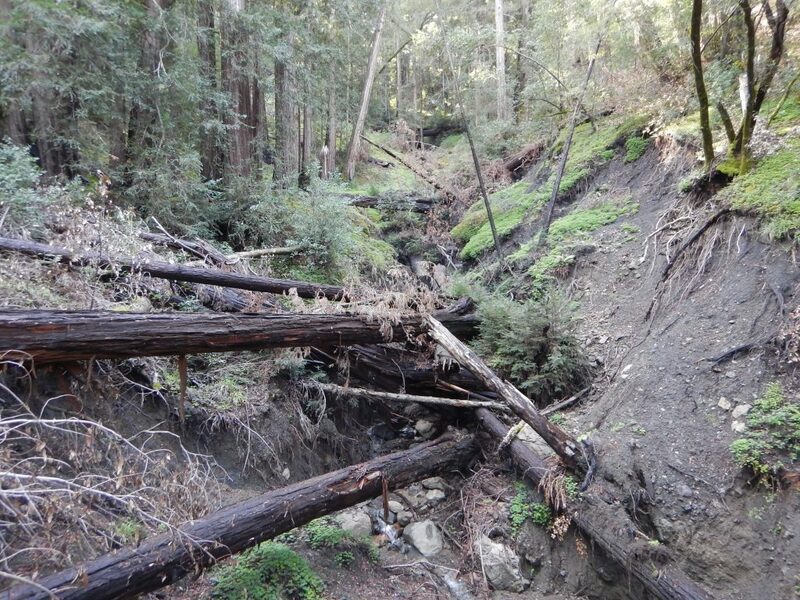 The damage has rendered the trail impassable to hikers and extensive repairs are necessary prior to reopening it to the public. In addition to the Pine Ridge Trail itself, Terrace Creek (Forest Trail No. 3E22) and Ventana Camp (Forest Trail No. 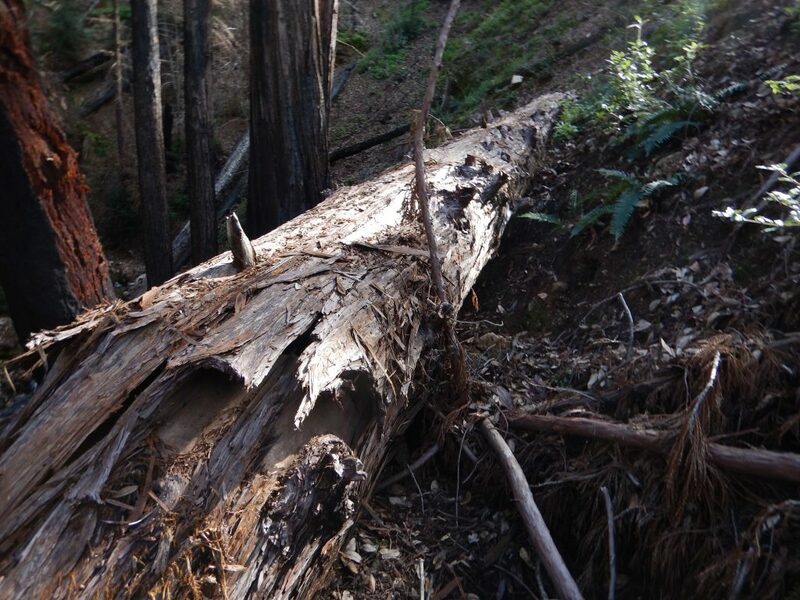 2E14) trails, as well as Sykes, Barlow Flat, Redwood, Terrace Creek and Ventana Camps also remain closed due to extensive storm damage and access issues. While Ventana Wilderness Alliance (VWA) Trail Crew volunteers have the skills and determination to tackle myriad restoration challenges, the scope of the damage far exceeds their capabilities. Los Padres National Forest Monterey Ranger District personnel are currently compiling a strategy and budget to repair the trail. This project may require the use of specialized professional crews trained in blasting and possibly even bridge construction. 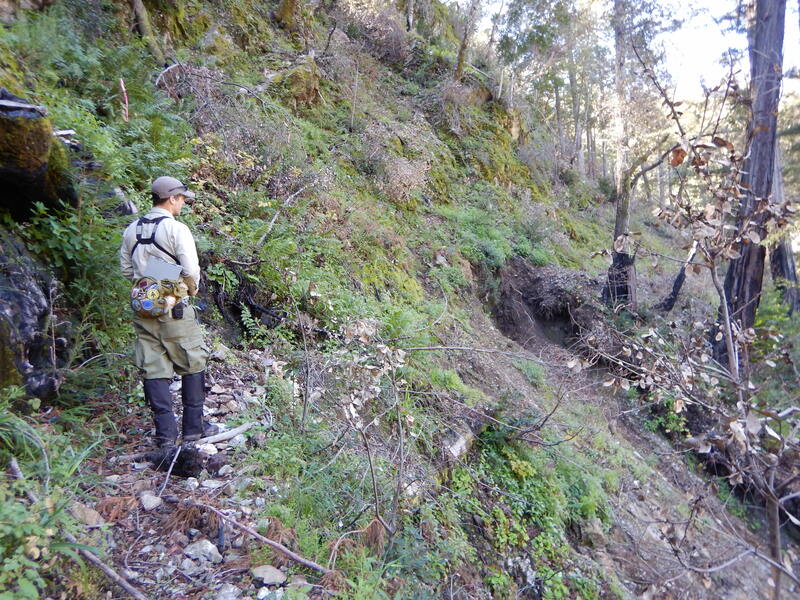 Forest Service personnel recently completed a survey of trail damage. They identified over 100 downed trees, extensive encroaching brush, and four major blowouts where sections are entirely washed away. Following are photos from the survey. Click on the photos to enlarge them. The first major blowout on the Pine Ridge Trail is just north of the Pfeiffer-Big Sur State Park campground. A US Forest Service Recreation Technician photographs the slide. A washout tangled with downed trees obscures the former trail, which traversed this drainage. 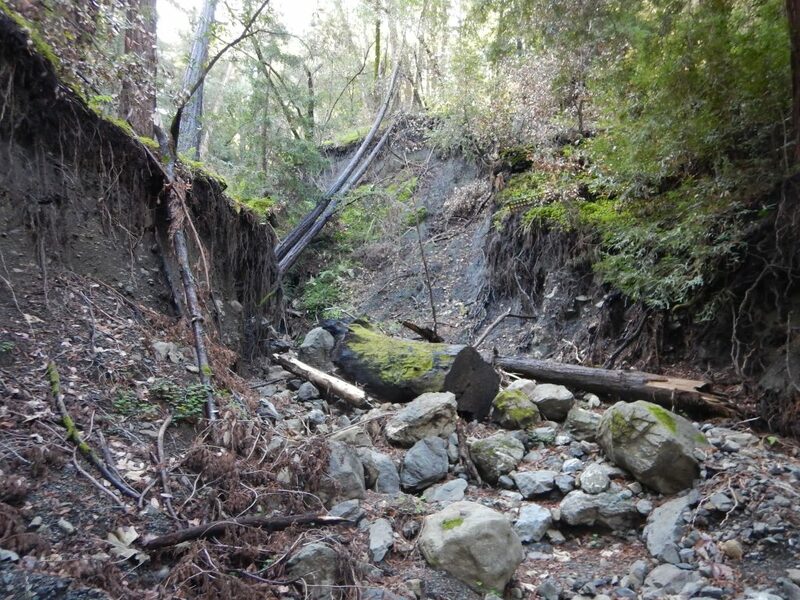 Severe winter storm run-off widened the canyon and destroyed this section of trail. This location near the Wilderness boundary has long been a trouble spot. This new blowout will require extensive repairs. A gravity-defying widow-maker (at center) hangs directly over the trail. 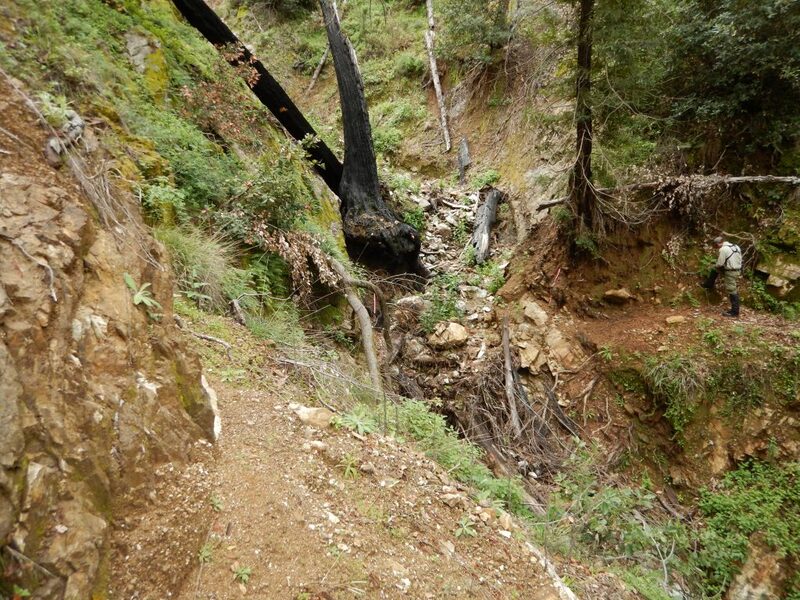 A massive blowout obliterated a section of the trail near Barlow Flat. The uphill material is extremely loose and prone to sliding, and the steep slope below drops nearly 100 feet into the river gorge, making this section of the trail completely impassible. Here’s another view of the trail blowout near Barlow Flat. This massive (4-foot diameter) redwood blocks the trail east of Barlow Flat. There is no timeline for when the lower Pine Ridge Trail will reopen but it is likely to take several years for restoration to be completed. In addition to securing funding, the Forest Service will complete a necessary process to follow regulatory procedures before beginning repairs since the area is a federally designated Wilderness and a Wild & Scenic River corridor. The high volume of visitors to the Pine Ridge Trail, which includes many first-time backpacks and inexperienced hikers, also calls for special consideration in planning the restoration project. While this process will be time-intensive, it’s necessary for the protection of the wilderness character of the effected area. 1) Forest Service law enforcement officers will strictly enforce the closure order, which carries a penalty of $5,000 and/or six months in jail. 2) The trail remains closed for your safety, as well as the safety of Search and Rescue personnel who may be deployed to rescue an illegal hiker in distress. Lost or injured hikers within the closure area put rangers and Search and Rescue teams in unnecessary danger as they navigate extremely hazardous conditions. Although all wilderness travel involves inherent risk, the dangers present on the lower Pine Ridge Trail are extreme. Many trail blowouts are located at the top of cliffs or drop-offs where a fall could easily result in death or lifelong injury. 3) The area also remains closed to protect the integrity of the trail. Circumventing blowouts only increases erosion issues and prolongs the process of restoring the Pine Ridge Trail. 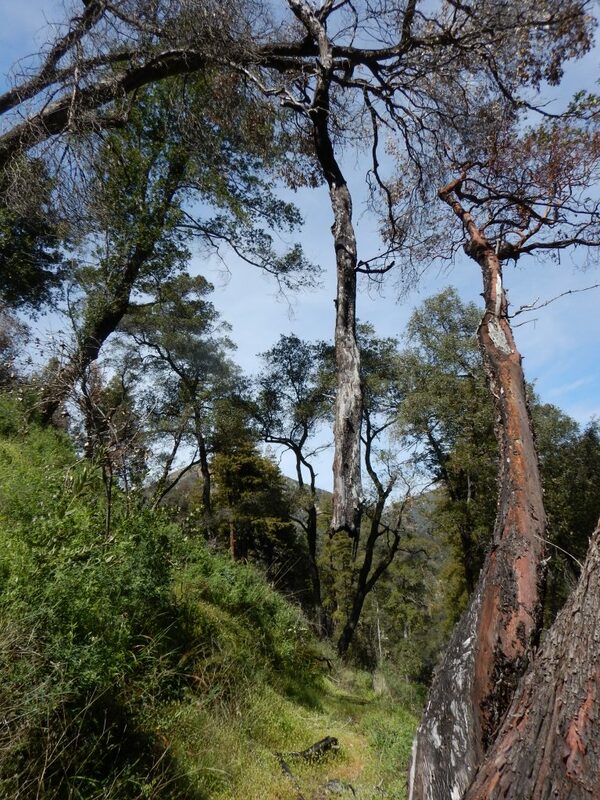 The good news: the upper Pine Ridge Trail is open between Tassajara Road and the junction with the Big Sur Trail, and there are plenty of other destinations in the Ventana and Silver Peak Wilderness to visit while the lower Pine Ridge Trail remains closed. 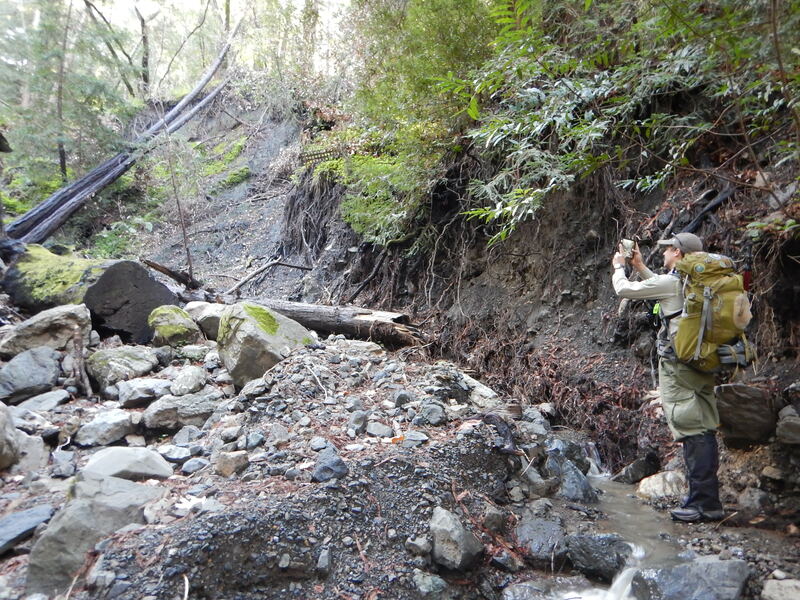 Check out the VWA's website, the discussion forum, or Big Sur Trailmap for ideas on where to go!